After many hours of work, I finally got the anime pre-orders up in the store. As I stated before I had about $10K worth of figures on hand and about $40-$50K pending in pre-order from my suppliers from the land of the raising sun. I think this should put the nails on the coffin of ever working a job again. I just work my day job 2 days a week now and the time has come for me to turn this site into the otaku hub I wanted it to be since I was in the 12th grade back in 2002. I still have a bunch of "look and feel" upgrades I have to do for the store and here but the bulk of the work that was in my path is now done. If you do chose to do any pre-orders, do the "money order" option at checkout and you'll be invoiced via Paypal when the figure(s) arrive. If you chose to complete the Paypal payment, you will be charged but those who do this get top priority. Just email the main store email here with a list of what you want if you don't want to do the checkout thing (I'll try to fix the bug or make it an easier process in the future). As you can see above, one of the figures coming in the next few months is the super awesome Haruhi Suzumiya Extravaganza Ver. 1/8 Scale Figure by Max Factory. 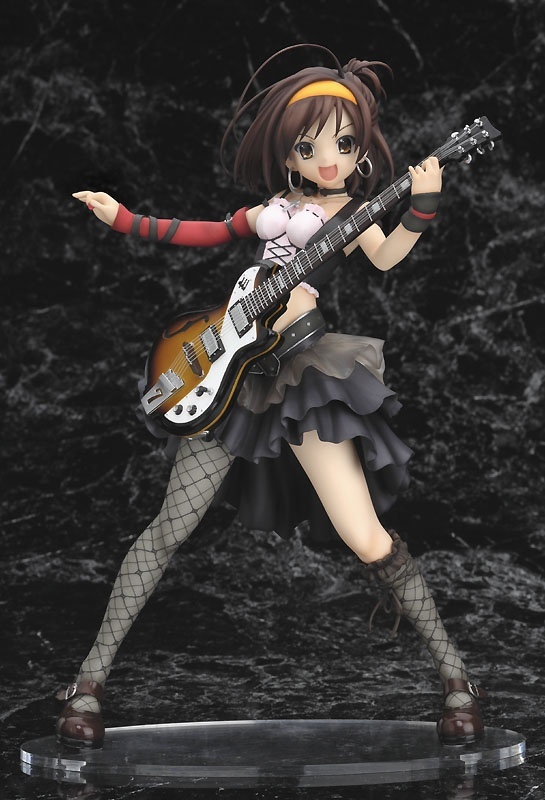 So far just Harhui is available to me but I would assume soon the Yuki and Mikuru Extravaganza figures will be up.